Educating for a Landmine-Free World. The museum and staff are very happy to finally reopen and be able to tell the story of landmines in Cambodia through the life and times of Aki Ra. We would like to thank everyone who helped us make this happen. Cambodia remains one of the most heavily mined countries in the world as a result of decades of conflict, including a civil war, the brutal Khmer Rouge regime and genocide, American bombings, and Vietnamese occupation. 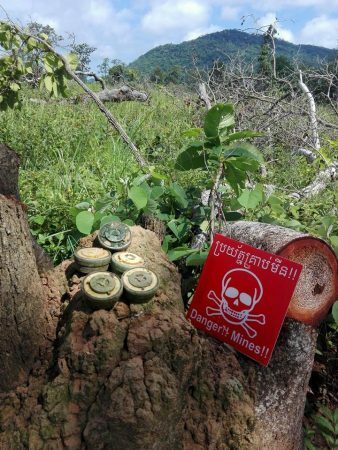 Dozens of civilians are still injured or killed every year by landmines and other unexploded ordnance that have been left over from all the fighting. 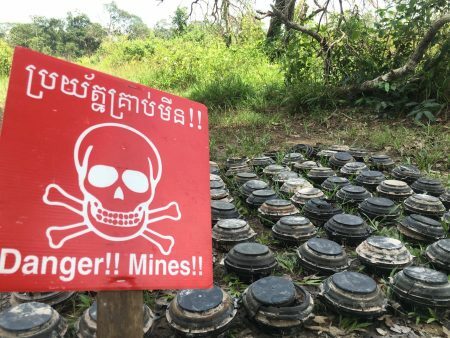 Millions of the country’s landmines have now been cleared, but there is still a lot of work to be done; it is estimated Cambodia will not be entirely free of landmines for several decades to come. We strive to educate our visitors of the importance of clearing landmines in Cambodia. With potentially millions still in the ground, landmines have immensely impacted the history and culture of this amazing society. Our collection of thousands of landmines is impressive. What is even more impressive is the story of the one Khmer man, Aki Ra, who disarmed the majority of these landmines alone. We don’t stop there though! We also educate and support over twenty at-risk Khmer children who otherwise would never have had this bright of a future. The Relief Center where they, and staff, live is located on the museum property. We also have a farm behind the museum! 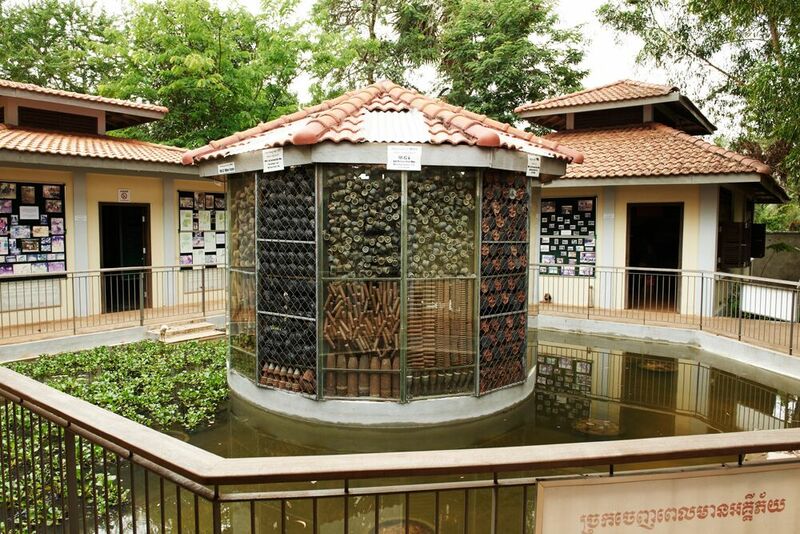 The Landmine Museum opening hours are from 7:30 – 17:30 every day of the year. Entry is $5 for adults, free for children under 10, and free for Cambodian citizens. 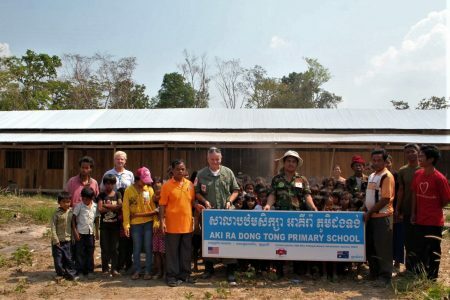 The Landmine Museum works in partnership with two non-profit organizations in Cambodia: Cambodian Self-Help Demining and the Rural School Village Program. These are independent NGOs separate from the museum, but we donate a part of all our ticket and shop sales to their causes. Cambodian Self-Help Demining (CSHD) is Aki Ra’s demining organization. Its mission is to clear landmines and other unexploded ordnance around the country. The Rural School Village Program (RSVP) is a subsidiary non-profit of CSHD which builds schools in rural villages that previously had no access to education. The rest of the money we raise goes towards paying our staff a liveable wage and caring for and educating the over twenty at-risk Khmer children living in our Relief Center. We accept long-term volunteers who can commit to working with us for six to twelve months. 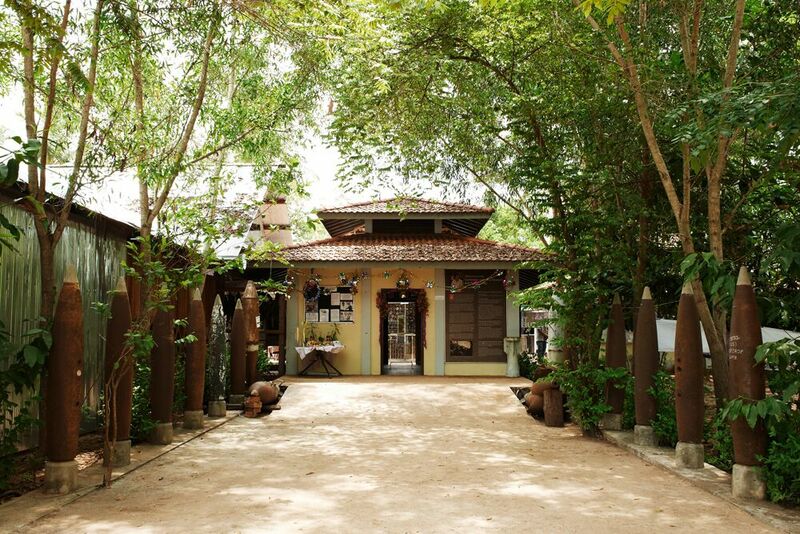 Volunteer opportunities in Cambodia include becoming involved with our English Language Teaching Program at the Relief Center and assisting around the museum when needed. If you are interested in volunteering, please contact us directly. This cause could never have received as much attention and support if it were not for our visitors, supporters, and donors! We THANK YOU for your time and contributions. To get involved please donate today, sign up for our newsletter, or contact us for further information!